Our popular Dry Rosé will be back on the menu soon. The very ripe and clean Cabernet Franc grapes were machine harvested on October 6, 2016. Gently macerated, the grape skins were left in contact with the juice for 3 hours to achieve this beautiful color. Pressed off and stainless steel tank fermented, Atwater's style on Rosé is to create light-bodied, crisp wines with good acidity. With a flavor profile that calls out strawberry and tart cranberry, it's very versatile and pairs well with a variety of foods. The first wine to be bottled from the 2016 vintage, we are happy to announce that we've increased our production from 500 cases in 2015 to 800 cases. Look for this wine to be released on or around March 1, 2017. 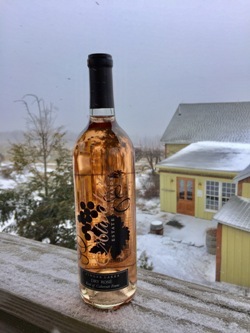 For more news on exciting Finger Lakes Dry Rosé, check out Discover Dry Rosé. 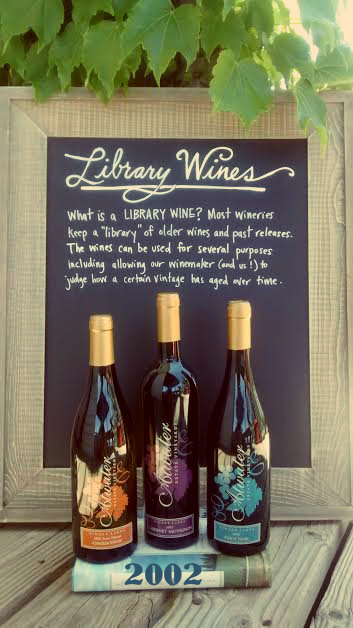 Twenty eight wineries in the Finger Lakes Region are actively involved in a month long campaign showcasing this delightful wine style. Visit the Discover Dry Rosé web page and Facebook pages to find the participating wineries, events, and pairing recipes. Producing elegant and aromatic Rosé wines from Pinot Noir, Cabernet Franc, Merlot, Lemberger and Syrah varietals using traditional European methods, the skins are removed from the juice early in the process leaving the must a pale shade of pink. No oak or added sugar is used in the process. The result is a crisp, fruit forward wine with notes of delicate berry balanced by fresh acidity. Served well chilled and bridging the gap between red and white wine both in its weight and in its flavor profile, Dry Rosé is a fantastic wine that compliments many menu choices. Try pairing with charcuterie - prepared and cured meats such as sausages, salami, pâté , prosciutto, cheeses etc. Quotes taken from our tasting notes upon the wine's release, the following still holds true today for these twelve year old wines. "Barrel fermented and aged in French oak for over a year, this wine is reminiscent of toasted hazelnuts, lemon and apples. Enjoy with shellfish, chicken and cheeses." "Our second vintage, this wine exhibits notes of black currant, herbs, and cedar. Savor with hearty roasts and rich cheeses." "This lovely wine displays notes of cherry, spice, and herbs. Superb when served with game and grilled seafood." The 2002 growing season was long and seasonably warm, which was excellent for fruit of the Finger Lakes Region, allowing the grapes to ripen until the very last minute before harvest. For a nostalgic look back on the 2002 Harvest, here is an article written by Peggy Haine for Life In The Finger Lakes. We are pleased to announce the release of our 2011 Cabernet Franc! GROWING CONDITIONS: The Finger Lakes region dealt with its most difficult growing season in recent memory. It started with a rainy April and May, but by June, warm, dry weather dominated. As the first rains arrived in August, they came as a relief, helping vines recover. But the rains continued persistently through September and the vineyards could not dry out. This has been a 'lower brix, moderate acid year' with abundant crop yields. PRODUCTION NOTE: Fermentation in tanks and bins. TASTING NOTES: Cab Franc has become one of the most promising red vinifera grapes in the Finger Lakes, where our cool climate produces incredibly food friendly reds. Breathe in subtle aromas of violet and rose petal while flavors of cedar, black plum and cherry mingle on your palate. FOOD PAIRING SUGGESTIONS: Try this vintage with pork tenderloin stuffed with spiced pears & gorgonzola or a cedar-planked salmon with fresh dill cream.